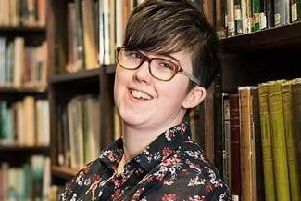 A Maghera author has signed an international publishing deal with leading publisher, Tiny Tree Children’s Books, for her children’s book ‘Colin Cloud is Making Shapes’. The worldwide deal offers Yvonne Fleming the opportunity to develop the already successful Weatherbies series, introducing her books to a new audience internationally. The Weatherbies bring the weather to life and make learning fun using weather themed characters. The books are aimed at children aged 2 to 5, full of colour, easy to read and fun for both children and adults alike. Yvonne said: “I’m overwhelmed at how well received my Weatherbies books have been. Things have kept moving forward since I self-published my first two books “Sammy Sun is Coming Out To Play” and “Rosie Rainbows Recycling Day” last year.